Attractive renovated town house with sitting room, fitted kitchen / dining room, utility . 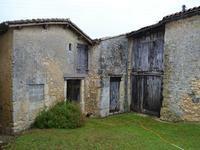 . .
Barn and shed located in a small hamlet near Chateauneuf sur Charente. Potential to create a home with a very nice garden. This pretty barn offers you the opportunity to realize a beautiful real estate project with . . .
Riverside, Renovated and Detached. Stylish 2/3 Bedroom House. Balcony. 3 Bathrooms. Must to view. Designer Chic. Impressively renovated Stone house on the banks of the River Charente, just a short drive . . . In the centre of a pretty riverside town, popular with tourists this is a great opportunity . . .
Riverside, lock keepers cottage, 1838. Detached, Totally renovated, Economical & Ecological. This stunning cottage is on the edge of one of the beautiful villages that traverse the river . . .
Beautiful charentaise in immaculate condition, set in a lovely garden overlooking the vineyards and the pretty village of Bonneuil. This stunning property has been fully renovated to the highest standard, is tastefully . . .
Renovated town house, 4 bedrooms. Designer pool. Separate building to create further House. Garden. Garage Private, central location. A deceptive beautiful modernised and renovated house in the very centre of beautiful . 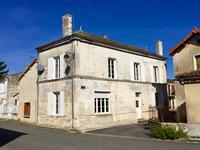 . .
A deceptively spacious house in beautiful Chateauneuf sur Charente. There are 3/4 bedrooms, . 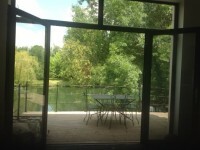 . .
Prime location in the centre of this lovely market town on the Charente river. An opportunity . . .
A charmingly renovated 2/3 bedroom property in an old riverside distillery. Situated on the outskirts of Chateauneuf sur Charente, this house is perfect for those . . . Character property renovated to create a light and spacious family home with study, open-plan . . .
Beautiful, Renovated Stone Cottage, 3 Double Bedrooms, 2 bathrooms,Lovely Manageable garden. garage and barn. A lovely opportunity to have a gorgeous country cottage set in a small village just 5 minutes . . . Attractive bright and spacious traditional town house with 4 reception rooms, kitchen, 3 . . . 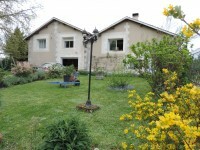 Situated on the outskirts of beautiful Chateauneuf, this is a well renovated house, ideal for . . .
Lovely bright apartment in an old stone building close to the centre of Chateauneuf sur Charente. 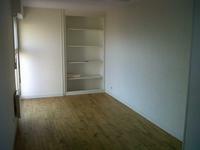 Pleasant, bright 2 bedroom maisonette, currently rented, in a quiet area but close to the . 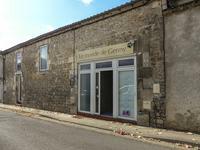 . .
Commercial space in a lovely stone building in the centre of Chateauneuf sur Charente. Bright commercial space, on the ground floor, currently unoccupied, but ready to use. 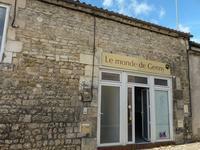 Convenient apartment in an old stone building close to the centre of Chateauneuf sur Charente. Convenient 1 bedroom ground floor apartment, currently rented, in a quiet area but close to . . .
Beautiful, elegant house in the centre of lovely Chateauneuf. Large and spacious, the house . . . The business for a hugely popular and successful restaurant in the South Charente. Set on the . . .